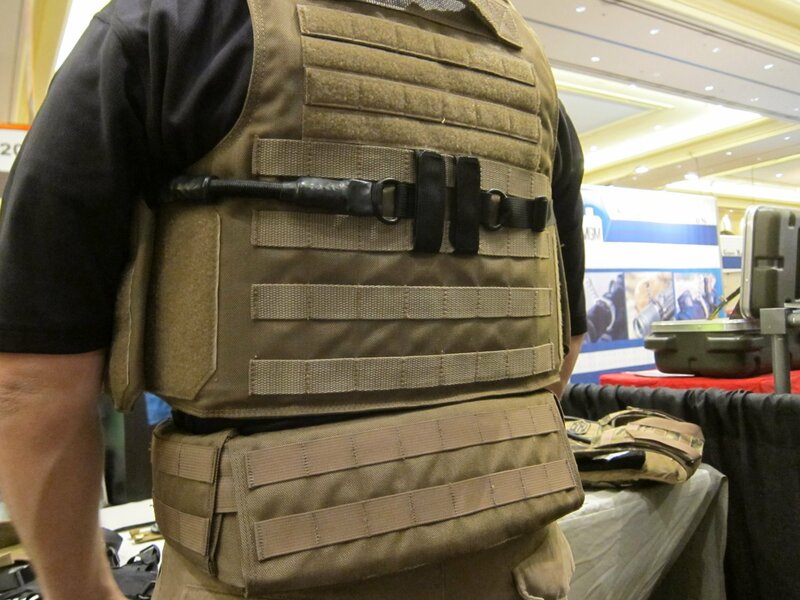 Hardpoint Equipment Tactical Armor Carriers (formerly Personal Protective Systems, or P2 Systems): Best Tactical Body Armor Plate Carriers on the Planet? 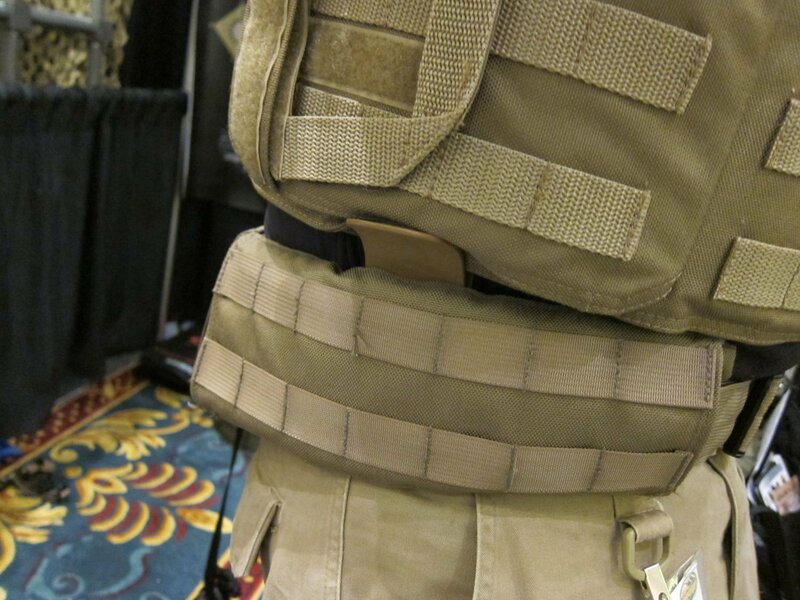 DR Looks at the Latest Hard Point Hard Armor Plate Carriers, Battle Belt, MOLLE Backpack System, and Passive Ventilation Channels/Removable Padding System at SHOT Show 2011 (Photos and Video!) | DefenseReview.com (DR): An online tactical technology and military defense technology magazine with particular focus on the latest and greatest tactical firearms news (tactical gun news), tactical gear news and tactical shooting news. All photos and video clips contained in this article were shot by DefenseReview.com (DR), and are copyrighted. DefenseReview.com owns the copyright on these materials. The photos and some video clips were shot with a Canon PowerShot S90 10-megapixel digital camera (still camera with video capability). Some video clips were shot with a Toshiba Camileo S30 HD Camcorder (pocket camcorder). In our August 2010 article on Hardpoint Equipment (also written “Hard Point Equipment” and formerly known as Personal Protective Systems, or P2 Systems) Centurion Armour Maniple-I and Cohort-I Tactical Armor Carriers (TACs) (tactical body armor carrier/tactical vest systems), we wrote that it was “to date, the best-designed, most ergonomic, and most comfortable tactical body armor carrier/tactical vest system Defense Review has ever used for a tactical shooting course.” That’s still the case, and we were pleasantly surprised to see several new and very cool additions to the Hard Point Centurion Armor tactical body armor line at SHOT Show 2011, including the Integra-Belt Battle Belt, Underarm Double-Under Integra-Sling, Ventilation Channels/Removable Pads (modular internal padding system) and Integra-Pack MOLLE-attachable modular backpack system, and the modular dump pouch. We also got to view and handle the Hastati-I and Velites-I Tactical Armor Carrier systems, which are very cool, and probably the best-designed hard armor plate carriers in the world, at present. 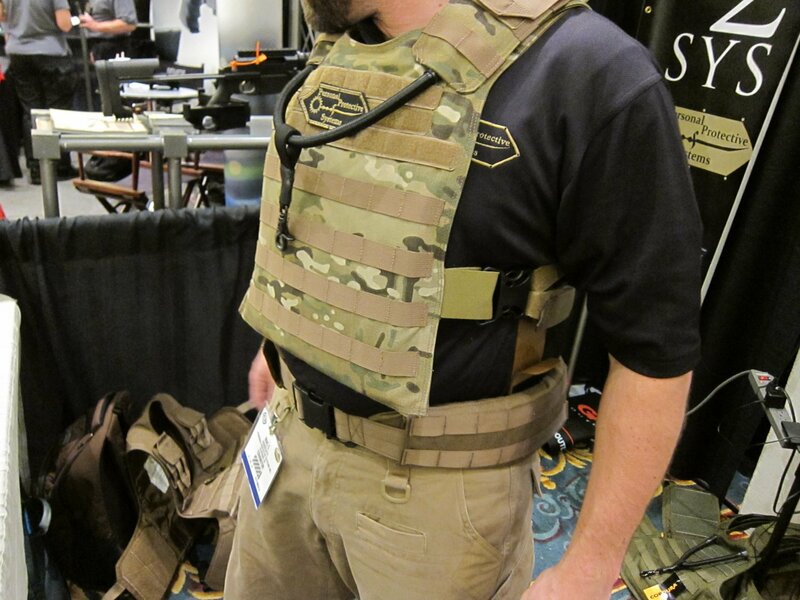 Everything we viewed and handled at the P2 Systems/Centurion Armor booth really impressed us. 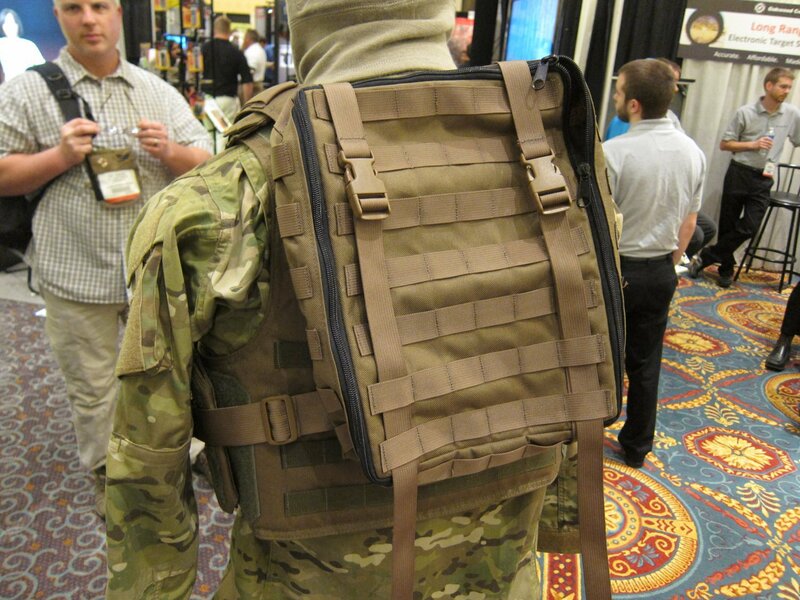 1) The Hardpoint Equipment Tactical Armor Carrier system’s proprietary velcro velcro-sandwich/large-pull-handle attachment quck-attach/quick-detach system does away with buckles and the traditional cumberbund system. This attachment system makes Centurion Armour the fastest and easiest body armor in the world to put on and take off the body, without resorting to a problematic and expensive quick-release system. While you can get a quick-release vest off your body by pulling the cord, the design of most systems make it very difficult and time-consuming to put Humpty Dumpty together again. 2) Hard Point Centurion Armor’s unique Integra-Sling and Double-Under Sling bungee-type ambidextrous integral single-point sling systems that feature a sliding weapon attachment point. These integral sling systems are very well designed, and once you get used to using one of them, you don’t want to go back to a non-integral sling. 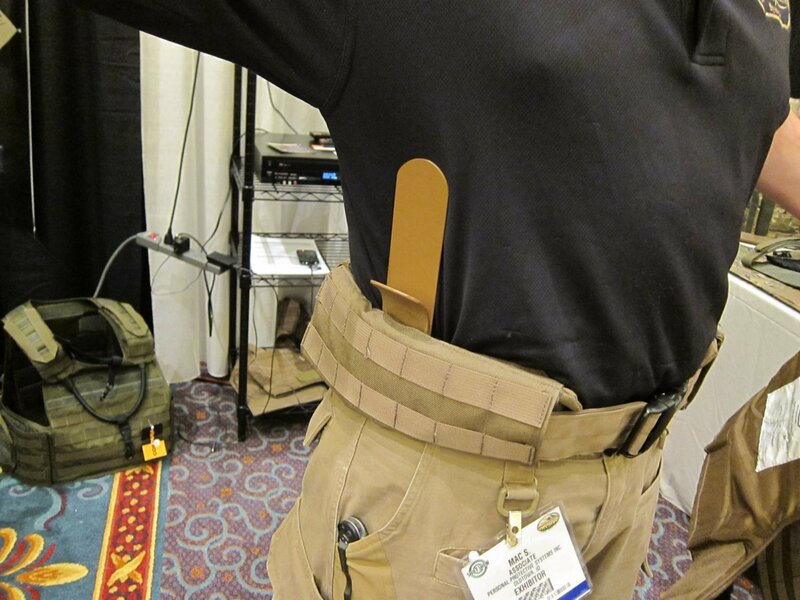 3) The Hard Point Integra-Belt Battle Belt integrates wide polymer body armor waist supports (plastic stays) that automatically catch the vest and support its weight without resorting to attaching the supports/stays to the vest. Hard Point’s solution, in DR’s opinion, is superior to Crye’s solution. It’s pretty clever, and keeps the body armor carrier/vest and battle belt as completely separate/disconnected components. Quite an elegant solution, actually. 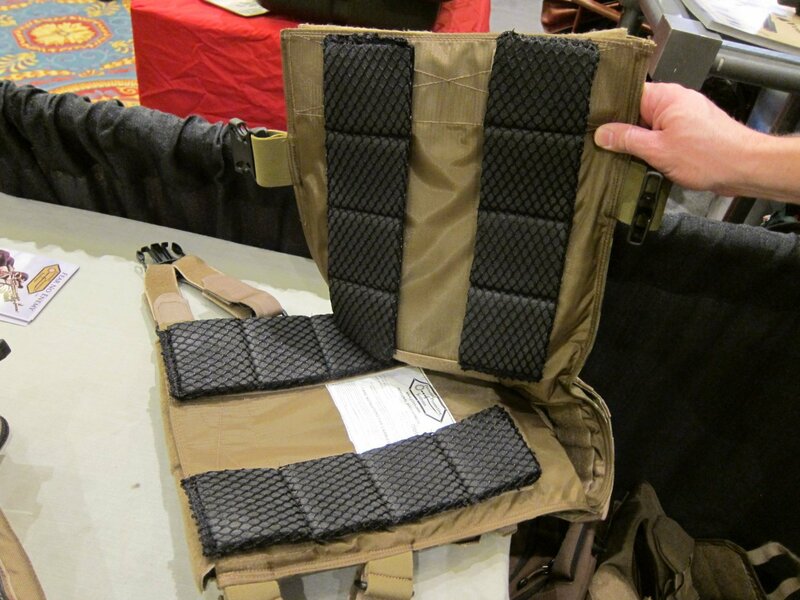 4) Hardpoint Armor’s new Ventilation Channels/Removable Pads internal padding system is modular and customizable. You can attach the modular pads wherever you want and need them (via velcro) for increased standoff, passive ventilation, and comfort. 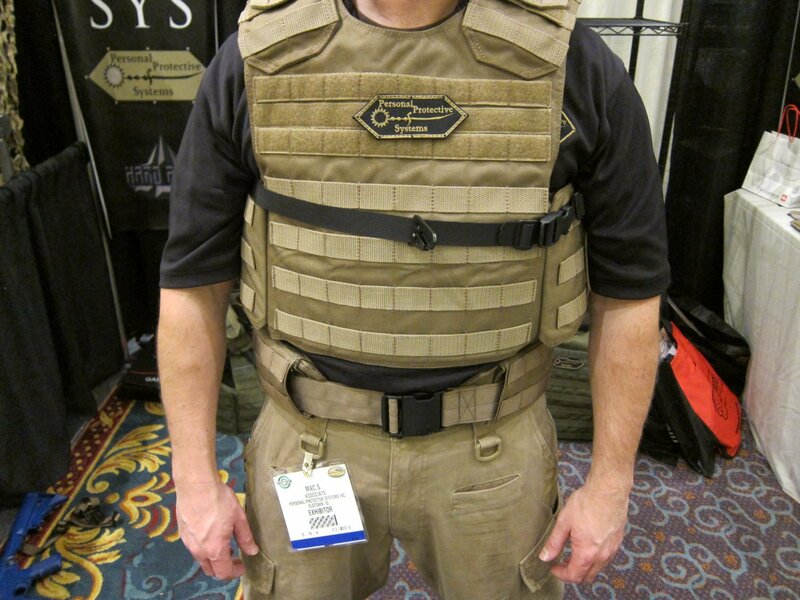 5) The Hard Point Centurion Armor tactical body armor system offers the user/operator significantly more MOLLE real estate than any other armor system we’ve ever seen or used. 6) Hardpoint Tactical Armor Carrier components are simpler and less complex than Crye CAGE Armor Chassis components. 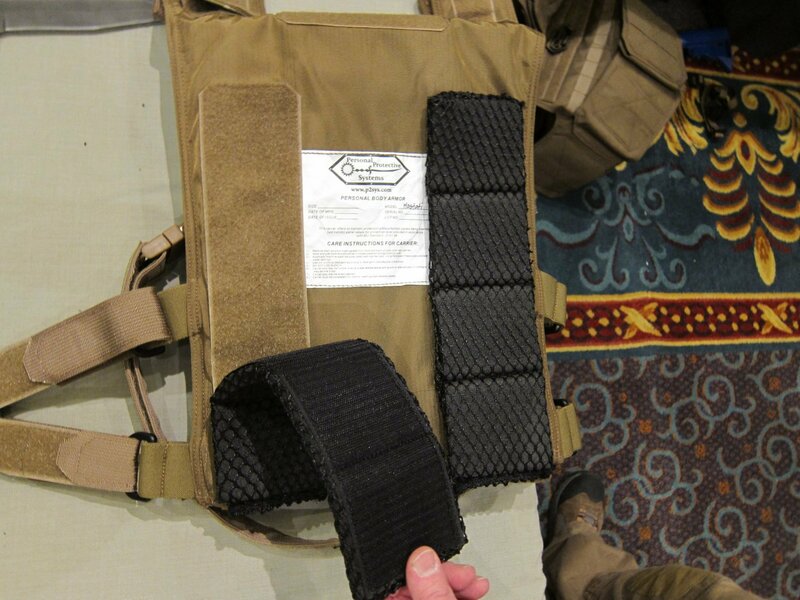 7) Hard Point Centurion Armour tactical plate carriers are more compact/less bulky than the Crye CAGE Armor Chassis. 8.) 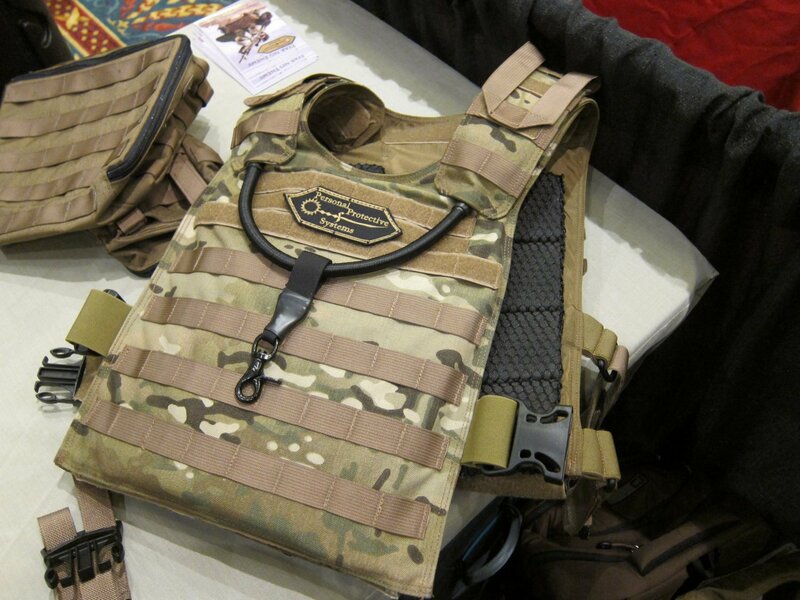 Hardpoint Centurion Armor tactical body armor carrier components are less expensive than Crye CAGE Armor Chassis components. 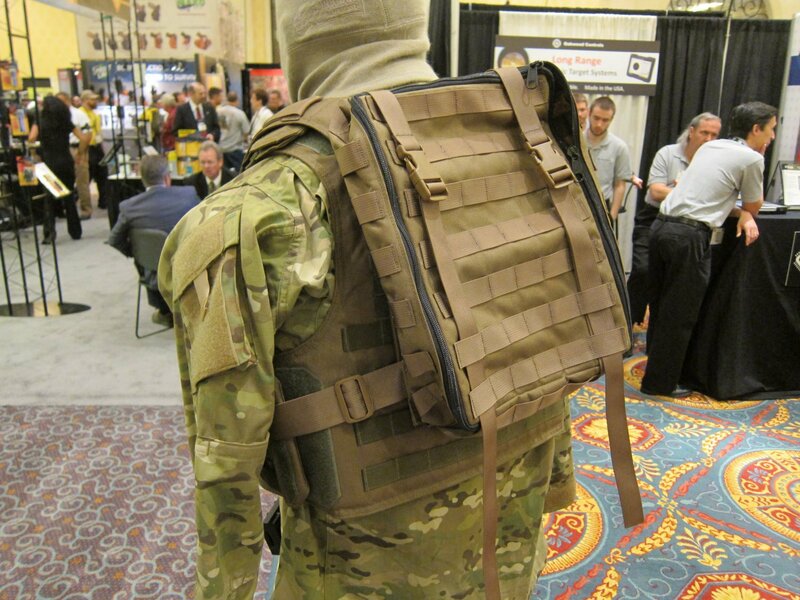 So, in our opinion, Hardpoint Equipment/P2 Systems (P2Sys) Tactical Armor Plate Carriers (hard armor plate carrier sytems) are BTC, which stands for “Better Than Crye” (just a little joke–funny but true–acronym the author came up with last year). Don’t get us wrong, the Crye CAGE Armor Chassis is excellent and we like it. We just like Hard Point’s TACs more. It should also be noted that the Crye system looks good visually. However, its design is also very complex/involved and very expensive (in our opinion, a bit too complex/involved and expensive), and it doesn’t offer the aforementioned Centurion integral sling systems, attachment/detachment system, etc. However, if we couldn’t get our hands on a Hardpoint TAC system, the Crye CAGE system would probably be our second choice, at present. By the way, you can order your Centurion Armor Tactical Armor Carrier in Crye MultiCam multi-environment camouflage pattern, so you can still have a little Crye with your coffee. On the subject of visuals, the Centurion tactical vests and plate carriers also look pretty cool, in DR’s opinion, and their form follows their function. Editor’s note: In the first video clip, below (top video clip), the Hard Point Centurion Armor Double-Under Sling wasn’t adjusted properly, since we were shooting the video off the cuff and the demonstrator wasn’t prepared to show that particular feature of the armor carrier package. In the second video clip, directly underneath the first video, the Double-Under Sling is properly adjusted, so you can see it demo’d properly. Leader 50 BMG Revolutionary Ultra-Compact and Lightweight Semi-Auto Bullpup .50 BMG (12.7×99mm NATO) Anti-Materiel/Sniper Rifle for Military Special Operations Forces (SOF) and Civilian Tactical Shooters: Coming Soon to a Theater of Operations and Shooting Range Near You?